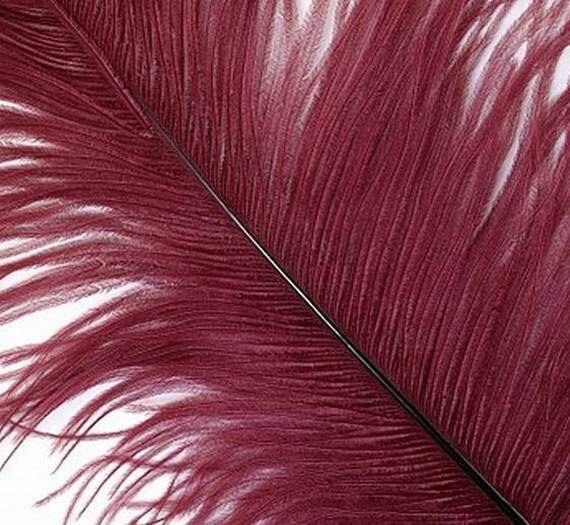 Burgundy ostrich feathers will be offered for a short time only! 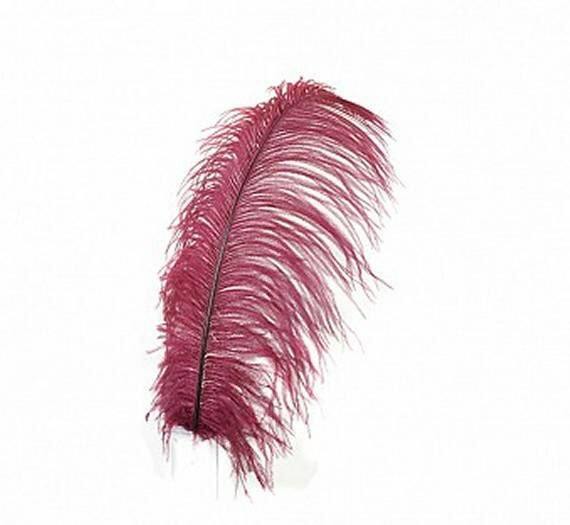 These tail feathers are called spads and will add extra pizazz to your hat. They are twice as long as the ones usually found in craft stores. These have been factory sanitized and range in lengths from 18" to 24" long. 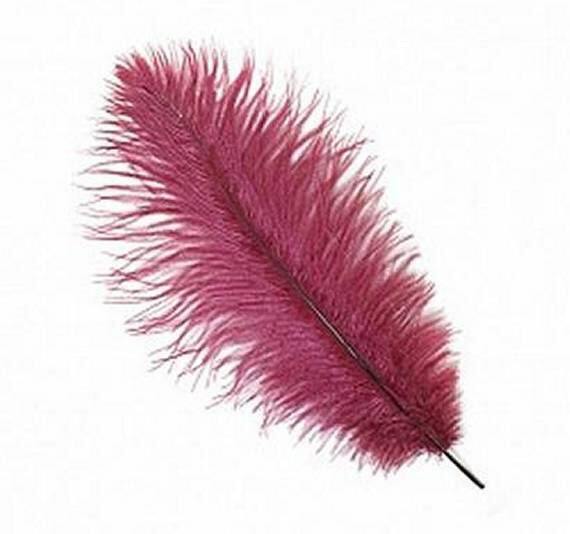 $6 for 1 feather. Discounted prices for larger quantities. We ship these in a tube via USPS - Priority Mail - Insured for their safety and so that you can track your package on-line. Let us know if you want to add more to the tube and we will combine shipping. Beautiful, color is true, in perfect condition, great communication, shipped in safety box, arrived in time. Pricing very fair. Couldn't ask for more! Will order again!